Wake up to a flask of fresh coffee and biscuits delivered to your room's deck before chilling in the hammock on your private veranda - life doesn't get much better than this! Matemwe stands out as an all too rare example of a place where the reality is so much better than the brochure or website portrays it (all too often we’ve ended up totally under-whelmed by a property that looked absolutely sensational in its promotional pics) Photographs often also aren't able to capture the atmosphere or ambience of a place - and Matemwe has these attributes in abundance! 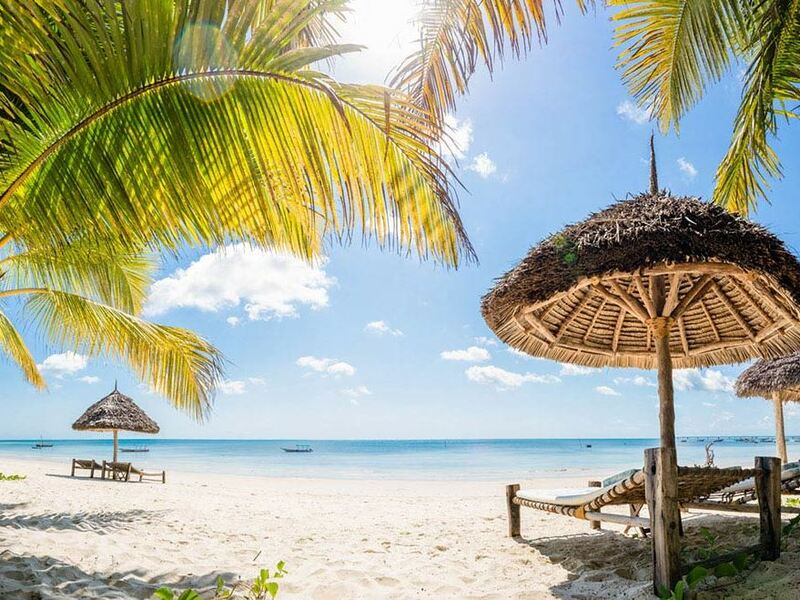 We first came here on holiday in 2005 (in a great combination with Chumbe Island) and loved the experience so much that we were inspired to set up a business specialising in selling holidays to uncommercial and unspoiled beach lodges like Matemwe. In the years since Barefoot Breaks started we've seen plenty of other lodges, but Matemwe remains perhaps our favourite lodge on Zanzibar!! Watching the flotilla of dhows making their way out on the tide whilst we sipped early-morning coffee sprawled on a hammock on our veranda, literally within a stone’s throw of the chatting fisherman, was an unforgettable highlight. It’s in the little touches – like the flower petals strewn prettily around the double vanity in the spacious bathroom. Or the restaurant’s wonderfully atmospheric hurricane lamp lighting and evocative music that made for quite the most romantic eating experience we’ve had in ages! The fact that the lodge is perched alongside one of the most picturesque beaches on the island doesn’t hurt either. Lie around the pool or take a dip in the sea, then enjoy a delicious buffet lunch accompanied by dazzling views of the aquamarine waters alongside the restaurant whose open sides also invite in a cooling breeze. Adjoining the restaurant is a cosy lounge area that is the epitome of cool – a series of cosy alcoves littered with comfy cushions that just begs out for you to crash and chill, play a game of bao or chat with fellow guests. If you get peckish during the long hot afternoon, freshly baked cakes and goodies are left for you to nibble on. 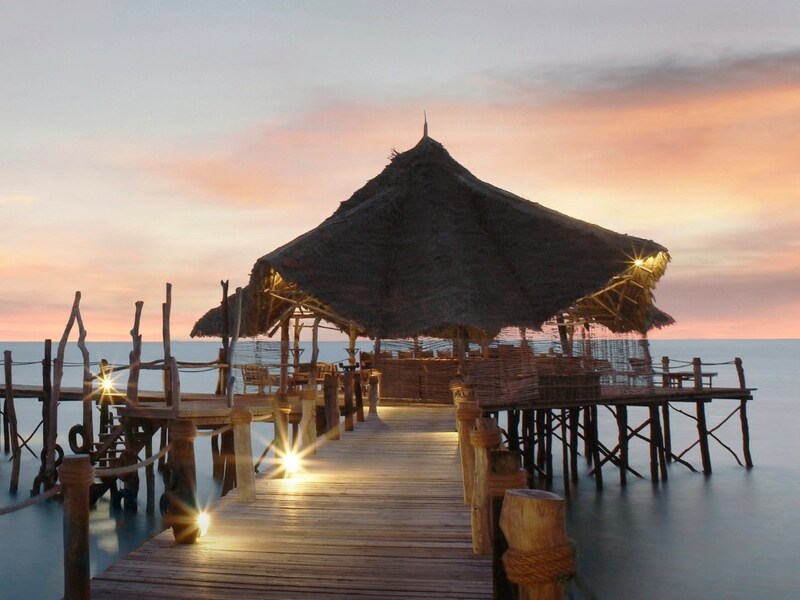 Sundowners are best enjoyed around the ingenious bar fashioned from an old dhow next to the pool. 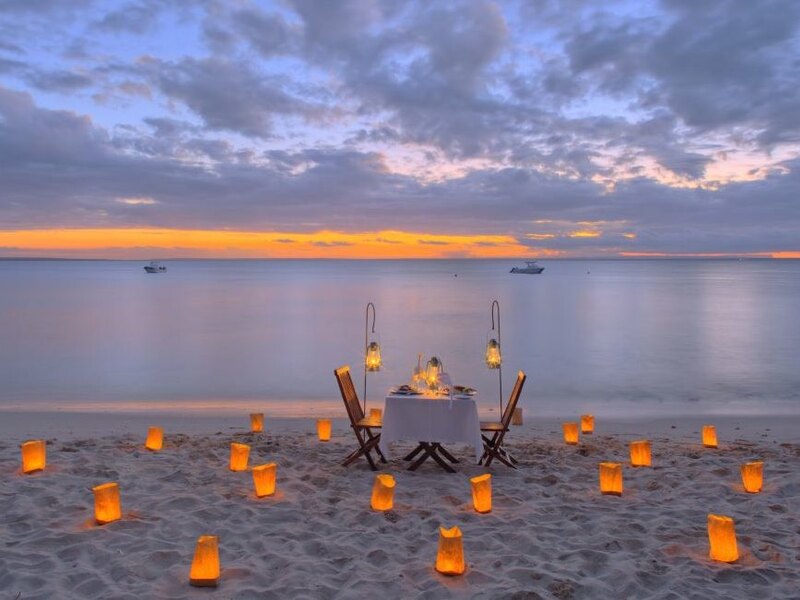 From there it’s just a short stroll across to the restaurant where suspended paraffin lamps cast a romantic glow over the tables – quite a few of your dinner companions are likely to be love-struck honeymooners gazing lovingly into each others eyes, but you’re sure to be able to join some like-minded travellers if you just want to shoot the breeze. You’ll have a choice of imaginatively put together main courses and a better wine selection than is the norm on the island. Another nice feature is the open braai situated next to the restaurant that is regularly used to barbeque fresh seafood. 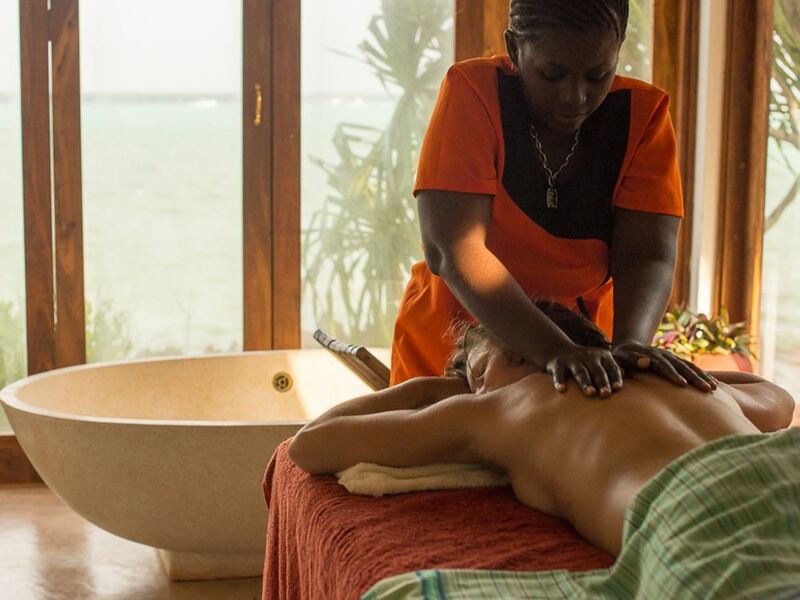 Some great new changes have been made over the last few years since we first stayed at Matemwe, but they haven't affected the unpretentious feeling that prevails at the lodge. 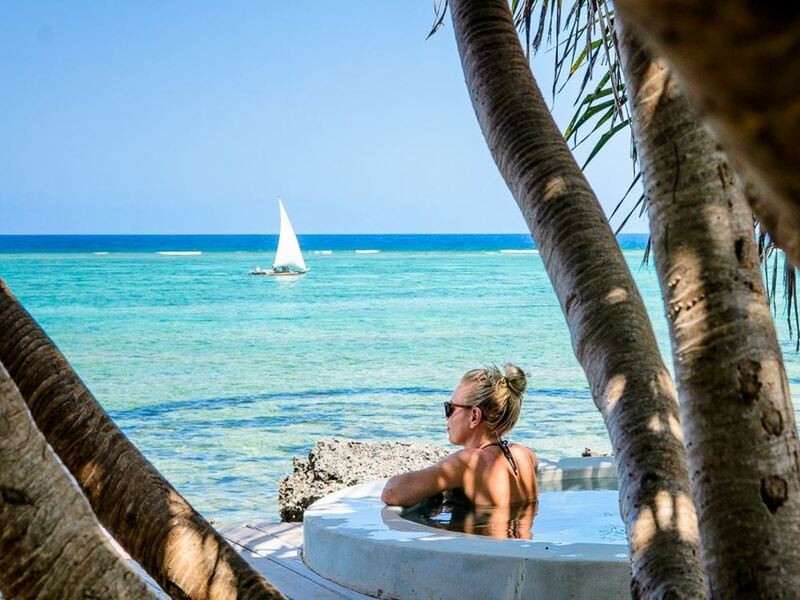 Chief amongst those is the superb split-level swimming pools - one with great views over Mnemba Island and another giving easy access to the bar - featuring brilliantly executed sculptures of a crab and an octopus. There's also a wonderful new chill zone and massage deck alongside the pool whose ochre walls and soft cushions are hugely inviting. Last and certainly not least in adding to Matemwe's reputation, are 4 new huge and decadently luxurious honeymoon suites just north of the main lodge boasting plunge pools on their private roof terraces, air-conditioned bedrooms and their own private butler - this piece of paradise is called Matemwe Retreat!